On this page we have included some information that we feel parents would find useful. Areas such as internet safety, Kids Collective, school meals and information and handouts from recent parent's evenings, covering important and current focuses at the school. If there is anything else that we could add to this page that you would find beneficial and useful please let us know and we will do our best to accommodate. Last year we held a Parents Evening focusing on the Curriculum and Assessment. We wanted parents to know about the changes to the curriculum and how these changes would impact on teaching and learning at Cloverlea. During this evening there were a number of presentations and handouts given out (specific to the year groups) which provided useful information and better clarity about these important areas. You can still access these presentations and handouts below. 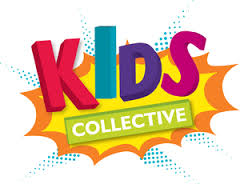 'Kids Collective' provides before and after school childcare for children aged 3-14. Please follow the link below to find out more about their services and the holiday clubs that they run. All children at Cloverlea have the option to have a school meal. The current cost of meals is £2.40 per day, £12.00 per week. You may pay by cash, cheque or via Parent Pay, for which log-in and password information is required. This information is available from the school office. All children up to the age of 7, Reception, Year 1 and Year 2, are entiltled to a free school meal as part of the Governments initiative to encourage healthy eating. If you do not wish your child to have a school meal, please provide them with a healthy packed lunch. If your child wishes to change from school meal to packed lunch or packed lunch to school meal. Menus are rotated on a three weekly cycle. If you require any further information, please do not hesitate to contact Mrs Marlow in the school office. Keeping our pupils safe online is very important to us. As you can imagine in the climate that we live in today, this can present challenges at times, but as a School we are happy and extremely confident that we have the resources, the systems, the teaching and the support that allow us to keep our pupils safe, whilst giving them the experiences in Computing that make them better and more confident users in the technology. We ask that you help us in our quest to educate our pupils on the issues of internet safety and help them to become more knowledgeable and more resilient when using devices that hook them onto the World Wide Web. We know how challenging internet safety can be for a school and how it is equally challenging for you, as parents. Therefore we have provided some links below which provide useful and updated information on Computing Issues. We hope you will find these beneficial and allow you to help us, to help your child to become confident users of the internet and technology. Online games like Fortnite and FIFA are evolving into social spaces where children meet with their friends — and make new ones. Parent Zone has got new advice for parents on how to keep their children safe when using in-game chat. Keeping parents informed of what is happening at Cloverlea Primary School is very important to us. Hopefully, our school website provides you with all the information that you need and covers all the areas that you might have queries about. However, if you have a question or need something confirming please feel free to contact the school. If you need any documentation from the school's website you can request a paper copy of this information .